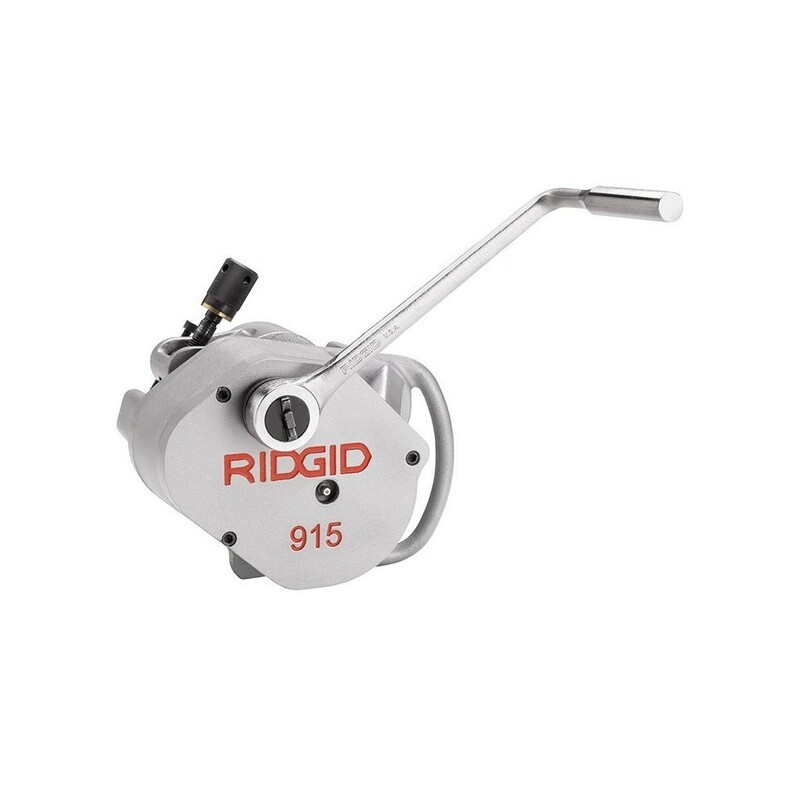 The new RIDGID® Model 915 Roll Groover is a manual roll groover for in-place field applications. The Model 915 requires only 3ó" (9 cm) of clearance to travel around a pipe and a minimum of 23⁄4" (7 cm) of exposed pipe for grooving. With the appropriate roll sets, it can groove from 11⁄4" to 12" pipe, the widest range in its class!